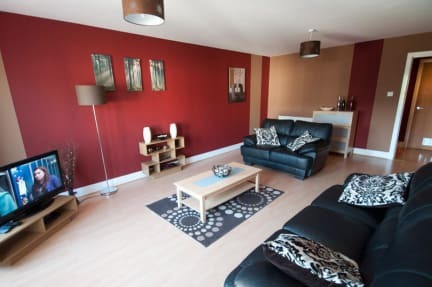 These light and modern spacious apartments have living/dining rooms with flat-screen TVs with Freeview channels and DVD players. The bedrooms can be set up as double or twin rooms. The kitchens are equipped with dishwashers, washing machine/dryers, microwaves and fridge/freezers. Towels, bed linen and toiletries are provided. Other amenities include free Wi-Fi and parking is provided. 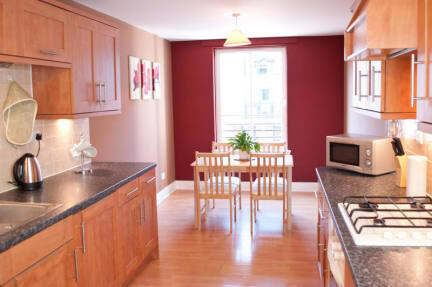 The Edinburgh Playhouse Apartments are only a short walk from Edinburgh's restaurants, cafes and attractions. The Edinburgh Playhouse theatre is just 800 metres away. If you require parking please advise us in advance of arrival.